Camp for €20,- a night at Campsite La Chiocciola in low season with CampingCard ACSI. 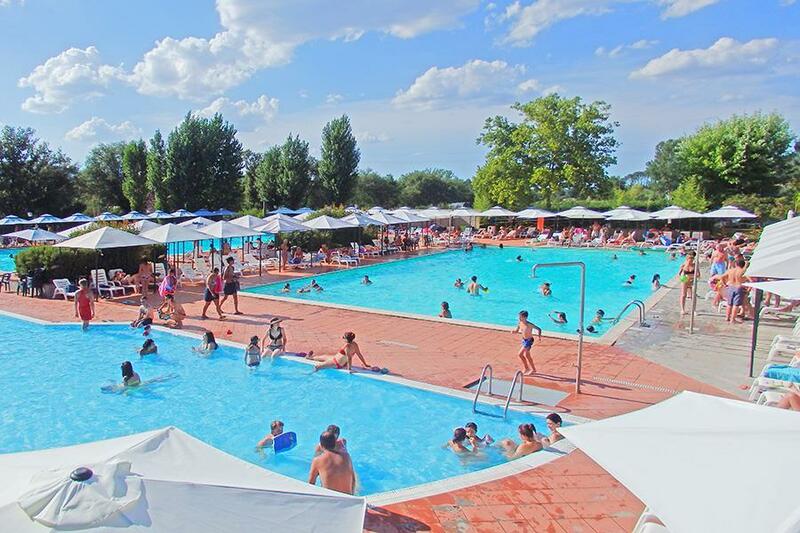 Campsite La Chiocciola, located in Capannole (Arezzo), is a campsite with 147 touring pitches. With your CampingCard ACSI you can camp on one of the pitches during the following periods: 01-04-2019 - 07-07-2019 and 27-08-2019 - 29-09-2019. A campsite in the Chianti region. Spacious, marked-out pitches with their own sink. Three large swimming pools. Ideal for visiting Florence, Siena, Arezzo, Chianti and the Crete area. English, Dutch and German spoken at the reception. Would you like to book Campsite La Chiocciola or request more information? You can do both using the information below. A1 Firenze-Roma, exit Val d'Arno direction Montevarchi. Then direction Lévane. In Lévane direction Siena. Follow the camping signs. CampingCard ACSI will send your information request to "Campsite La Chiocciola".